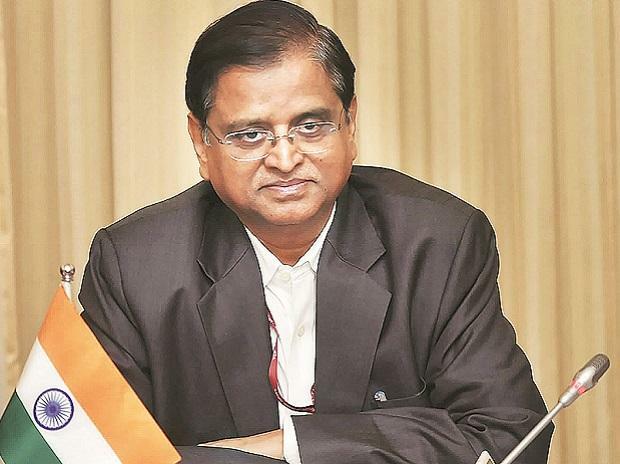 Economic Affairs Secretary Subhash Chandra Garg Friday exuded confidence that fiscal deficit target of 3.4 per cent for 2018-19 would be met as the shortfall in indirect tax collection would be compensated by lower expenditure. "I am very confident (of meeting fiscal deficit target of 3.4 per cent for 2018-19)," Garg said on the sidelines of IVCA conference here. As per the interim Budget 2019-20, the government has pegged fiscal deficit target of 3.4 per cent for the current fiscal year ending March 31. "Our assessment at this stage is, in direct taxes, we will probably do as per the revised estimate, indirect taxes, there might be some shortfall, and on the expenditure side, there might be some savings. "On the whole, we should be where we are," he said. In the current fiscal, direct tax collection is pegged at Rs 12 trillion (revised estimate). The government had originally budgeted to collect Rs 11.50 trillion in 2018-19 from direct taxes, which include corporate tax and personal income tax. Likewise, in 2018-19, GST collection is pegged at Rs 6.43 trillion (RE), which is lower than the targeted Rs 7.43 trillion (BE). On the indirect tax front, customs collection in the current fiscal is pegged at Rs 1.30 trillion (RE). Fiscal deficit touched 121.5 per cent of the full-year revised target of Rs 6.34 trillion at the end of January on account of lower revenue collection, according to recent data released by the Controller General of Accounts (CGA).